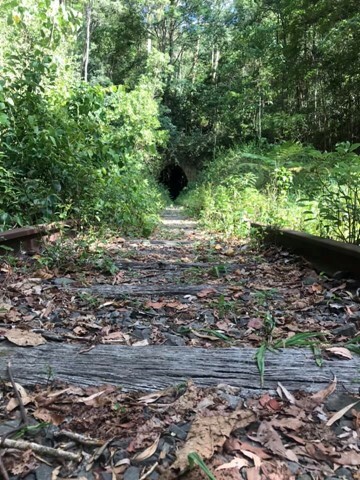 A nice easy walk along the old abandoned Murwillumbah to Casino railway line (1894 to 2004) from Stokers Siding to the biggest tunnel (524m) on that line, with plenty of glow worms and some micro bats. 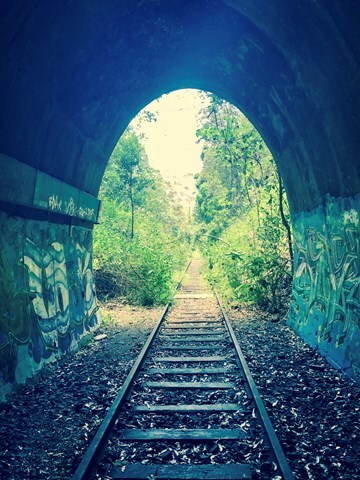 PLEASE NOTE: John Holland Rail Pty Ltd, the managers of the Country Rail Network (CRN) in NSW, wish to advise that accessing the CRN without a formal agreement in place is considered to be trespass. 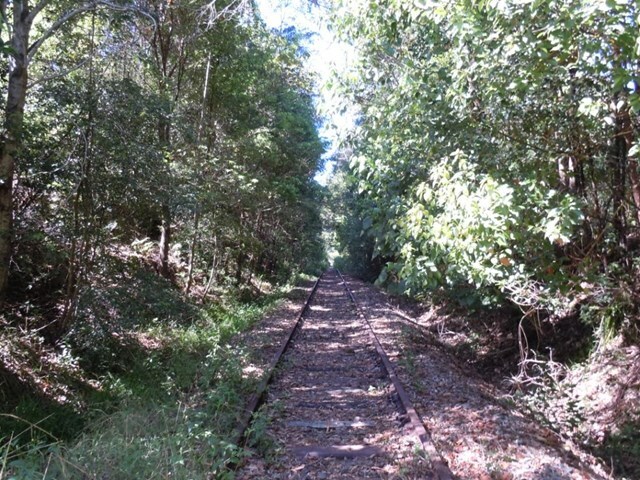 Please note trespassing on rail land is an offence and fines of up to $5,500 can apply. 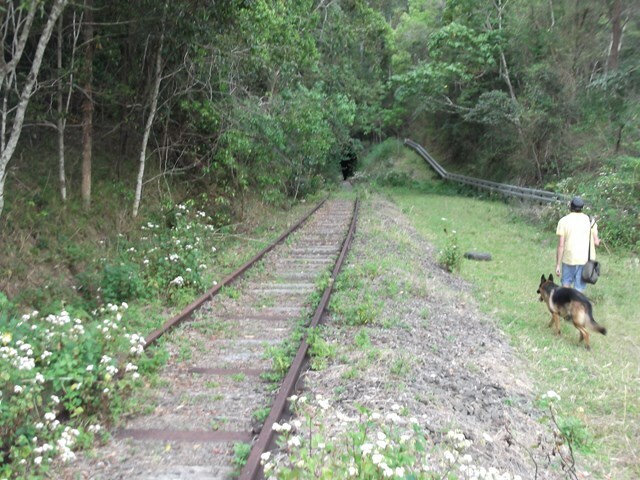 Details for accessing this track have been removed at the request of John Holland Rail Pty Ltd. 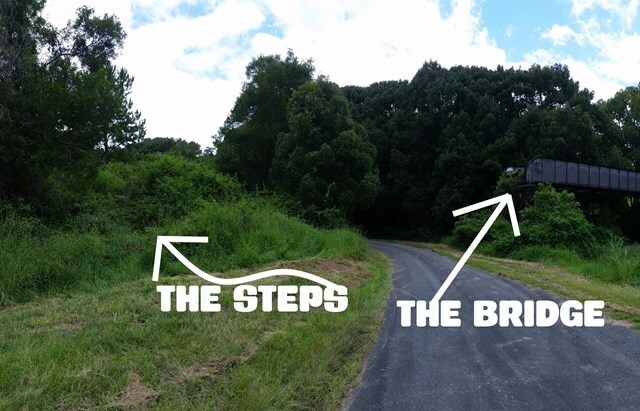 Please do not restore the details until a formal agreement has been reached with them for public access to this walk. Took me 1HR15MINS to do 5KM in and back. I didn't go very far in the tunnel cos I'm a scaredy cat but far enough to see the bats. Saw a snake along the path but it got out of my way pretty quick. 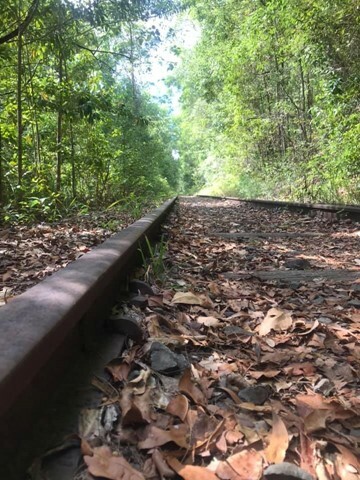 The track is really overgrown in places, and we spotted a snake in the grass on the side of the track, which fortunately slithered away really fast. We saw bats in the tunnel, but unfortunately no glow worms. We also saw a lot of butterflies and insects and skinks along the track, which was great for keeping the kids interest. There's quite a lot of bush coverage along the track, so you're mostly walking in the shade, but there are a few sunny spots, so take a hat and sunscreen (and good walking shoes). All in all a fun outing. It took us 1 hour 40 minutes, we walked halfway along the tunnel and back again. Total distance 7km. Did this today with the dog. WATCH FOR SNAKES! its about a half hour walk from the start of the tracks, you can park the car just off the side of the road next to the entry path. 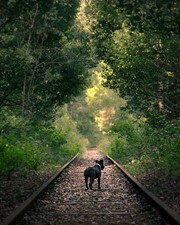 Not too overgrown, a bit rocky underfoot as you would expect from railway tracks but not to bad, shoes are a must. The tunnel is amazing, a lot longer than expected when your walking in there, a headtorch is needed to get through the tunnel, without a headtorch though you can see heaps of glowworms, didnt see any bats. Had a stand off with a brown snake in a sunny spot on the track on the way back, other comments on this trail aren't wrong about the snakes, it looks snakey.. so watch your dogs. 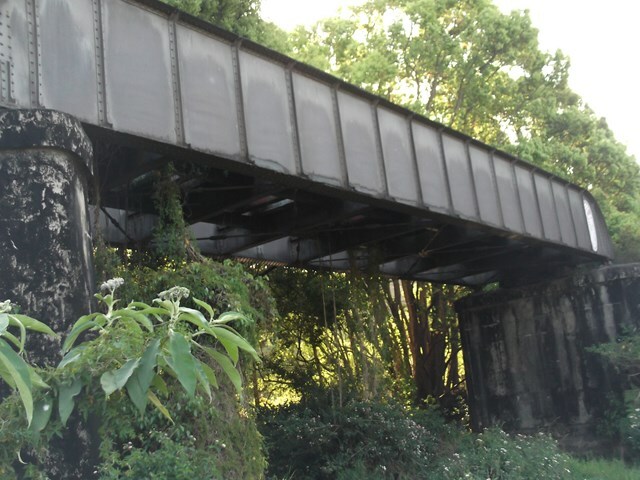 Good comfortable walk - hard to find entry, right on corner before old railway bridge, need to go though overgrown area but once in great piece of heritage to enjoy. Flat walk but needs good shoes and interesting experience in tunnel to see micro bats and glow worms. We did the walk today and it was really good - peaceful and forested. 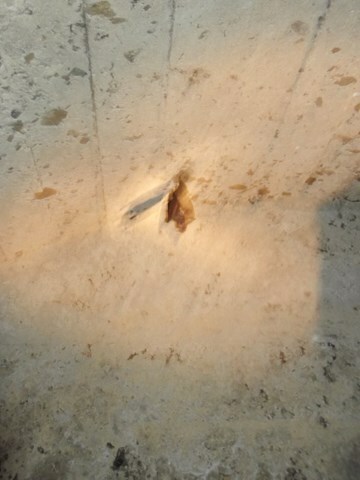 We saw no snakes but did see the micro bats. We carried some telescopic loppers and cut back the encroaching lantana plus other plants, although the trackbed is largely very clear and not difficult to walk. The steps at the start of the trail are hard to find now due to being overgrown. The sign is also missing. Someone appears to have erected strands of barbed wire at the foot of the stairs, which are not much of a barrier although one of us tore our pants on them. Despite that, this is a worthwhile trail to visit. It would be great to think of it one day being part of a long distance rail trail. Hoped out of the car first thing I noticed, i was sharing the grass with a 2m long brown snake. Continued down the tracks and saw a whip snake smoothly gliding along the bottom edge of the train track. It went under a section of the track in a swift manner like this wasn't the first time it had done it, possibly even it's home. At this stage I checked my phone not good reception and I was alone but decided to persist anyway with two long sticks, walking them infront of me to try and deter snakes or give them a fake leg to strike at first. 4km of this was not fun. 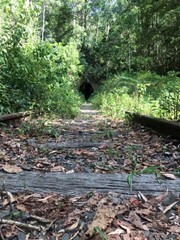 The tunnel was cool with a nice breeze lots of little microbats, saw a baby drinking milk. All in all. 4km of hell and 1km of cool. But that was just my experience if I didn't see 2 deadly looking snakes it probably would have been alot better. Enjoyable ramble. Thanks for the heads up on wearing walking shoes. 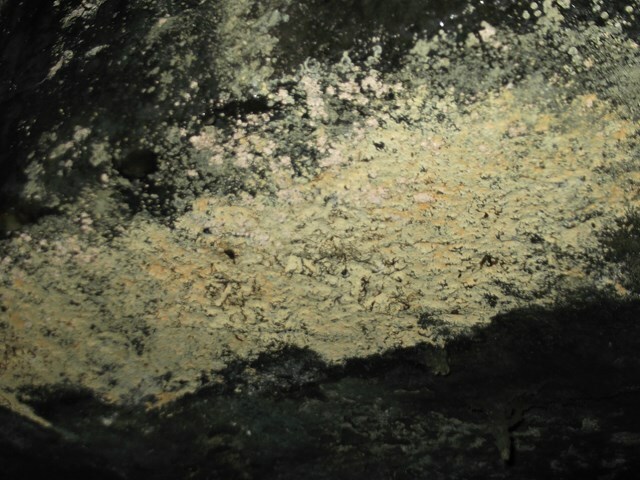 Saw the micro bats and glow worms in tunnel. 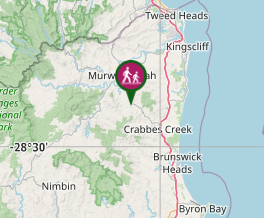 Walk is about 16km south of Murwillumbah. 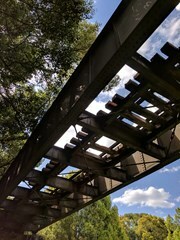 Easy walk along an old train line. Make sure you've got sturdy shoes as the rocks underfoot can be hard on your feet. 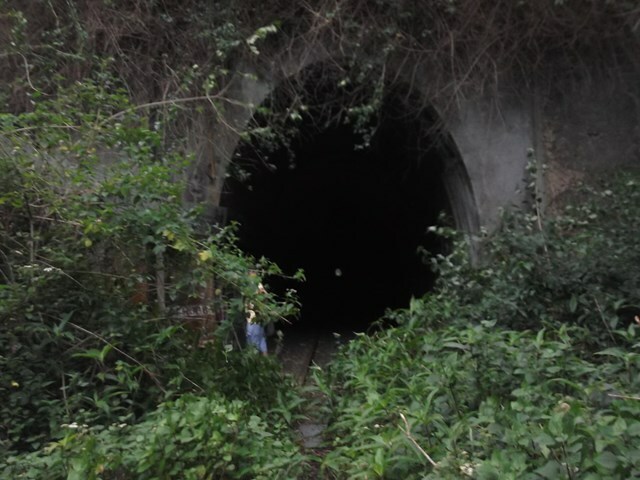 Takes you through scrubland and past a handful of rural properties before going through the 500m long tunnel which is a highlight. If you're steady on your feet and take it slow you can make it through without a torch. Be sure to look up to see the glo-worms. I was taking it slowly and it took around 2.5 hours return. Fun walk, was happy to have good shoes as the stones are a bit of a pain. Track is nice and open. An enjoyable walk. 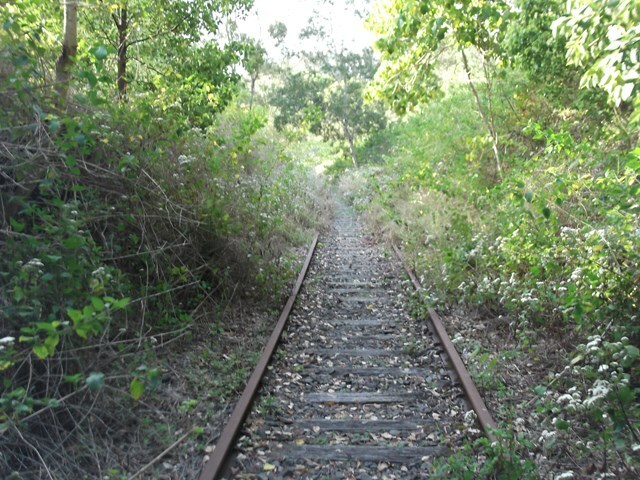 Walking on the rail track was a bit challenging at times. 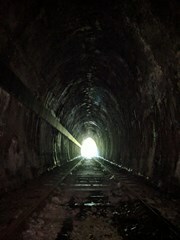 The tunnel was amazing, saw plenty of micro bats and glow worms. 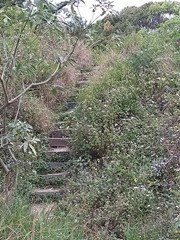 The overgrown section at the end was very popular with the bird life. I enjoyed the tunnel but the walk didn't seem that enjoyable in the heat. I realised afterwards you can drive all the way along tunnel road and jump over the fence if you just want to walk through the tunnel. 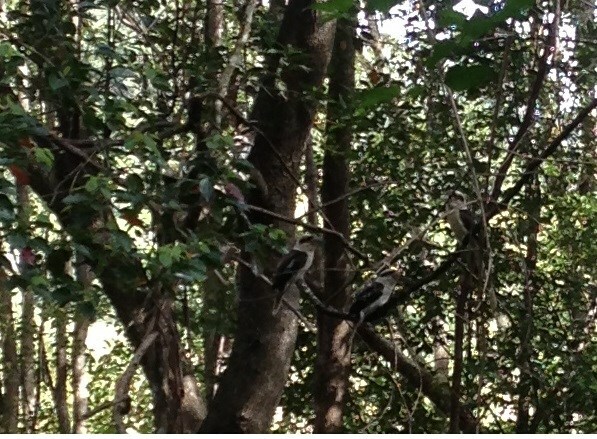 Excellent walk with plenty of birds, particularly in the rainforest near the northern portal. Glowworms and microbats were easy to locate. No problem finding the start following the directions. 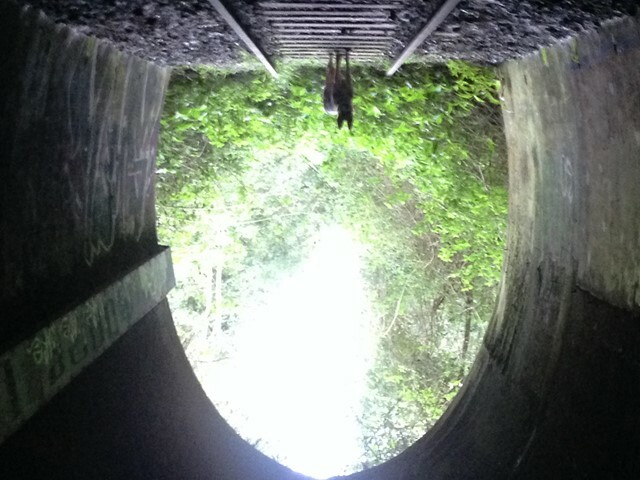 Great walk with the kids, they enjoyed looking for bats and glow worms in the tunnel, which there were plenty of! Fabulous New Years Day walk with our dog. Grateful for my hiking boots. The gravel and rubble could have been a challenge for me. The breeze in the tunnel was beautifully refreshing on this hot and humid day. The Green star was very difficult to find. 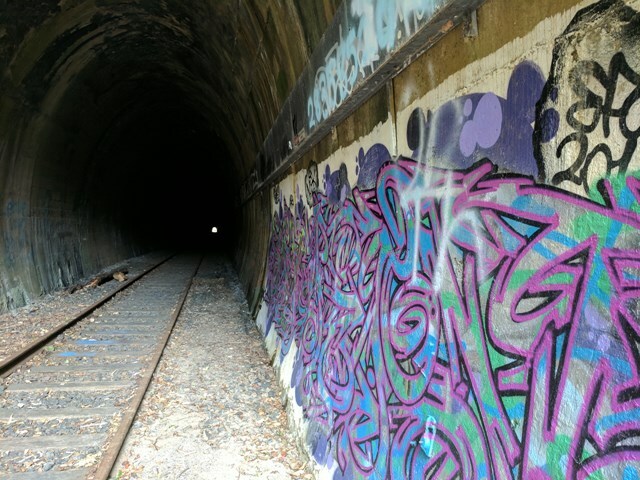 And YES we agree that it would be awesome if the track was extended beyond the tunnel. What a great little walk, with the benefit of a 500m tunnel. I have been doing some hard and new walks lately and it was good to relax and enjoy the surrounding for a change. The first think that hit me was the wonderful country smell of all the spring flowers. 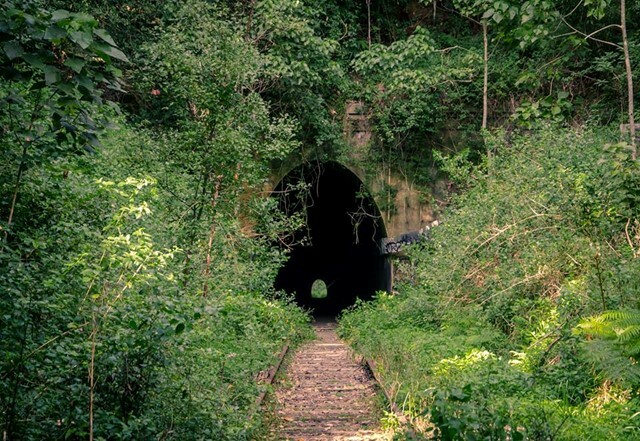 Talking country; there was resent evidence of cattle on the line, so watch out for cows on the track or in the tunnel, as there is nowhere to escape! Micro bats in the tunnel alcoves, but did not see any glow-worms. Tried to extend my walk on the far side of the tunnel, but the forest has closed in and made it impassable beyond about 300m, which is a shame, as it is only 1.5km to Upper Burringbar, where the track is pretty clear down to Burringbar's pub. Maybe one day? 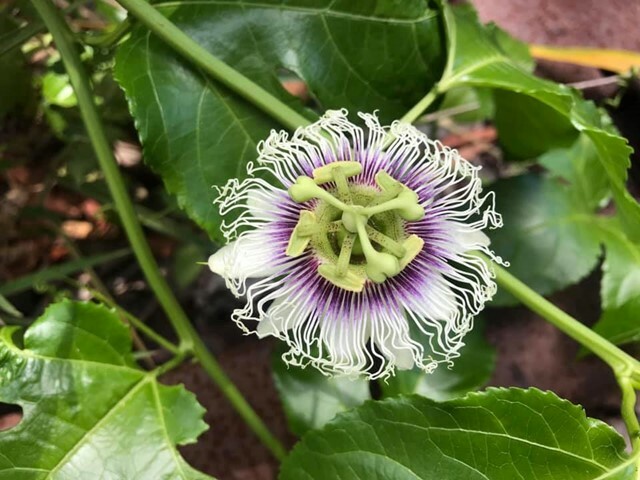 This is a fabulous walk with the great advantage offering able to take your Dog, which for me is a very big plus :-) Not strenuous and cuts through some lovely northern NSW countryside. Loved it!